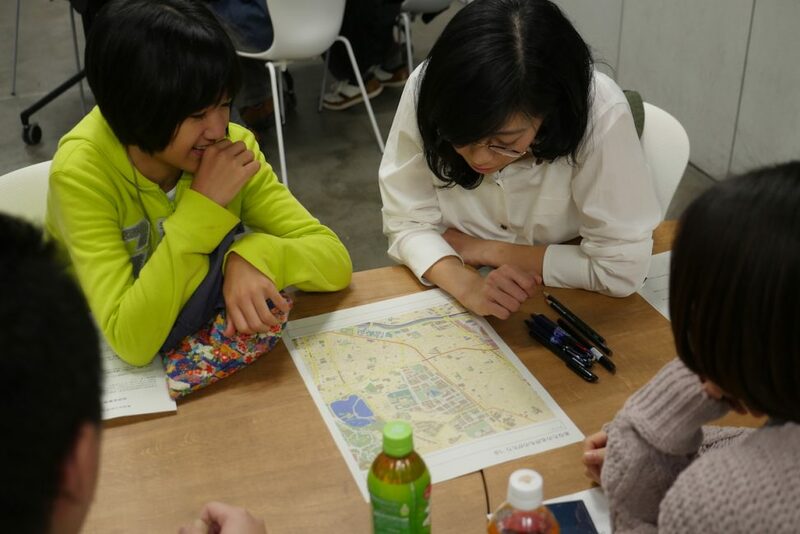 The collaboration workshop with Bunkyo ward and the University of Tokyo “Your Story of a Famous Place” series began from 2016 has the following aims, re-capturing the places as not a general description of the so-called famous places but places who live or visit feel as a local resource for each individual, accumulating the resources as a community archive, and taking advantage of the activity of the community. 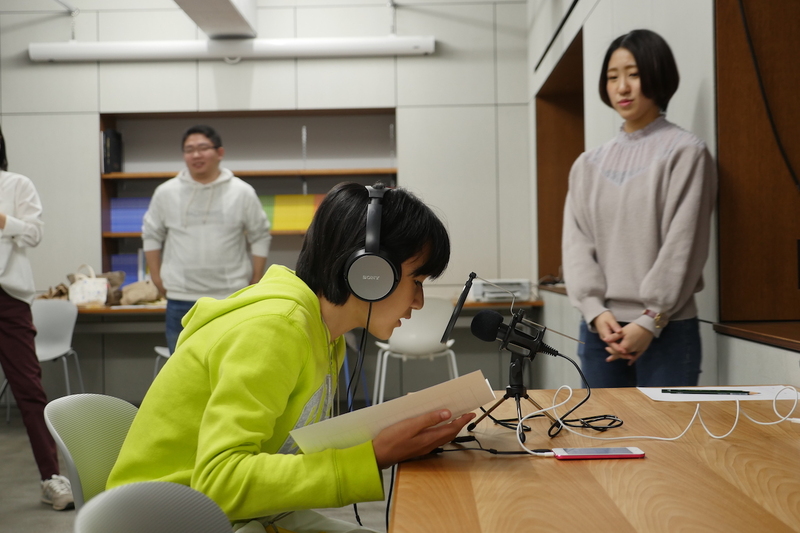 In the 6th workshop as GCL WS-A, we tried to use a radio studio-style headphone and speaker set as a recording device to talk about the “family” story. 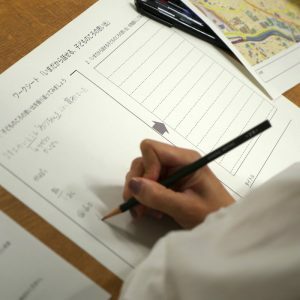 The feature of this workshop series is that at least one facilitator is responsible for one participant (one pair) and carefully creates reflections. When participants come into the venue, the facilitator take them to their seat while chatting. At the first, we start with a very simple ice-breaking task, and consider what kind of reflections we can talk about. Participants and facilitators visit the place together and finish the reflections on the place. In the 6th workshop, we took the method of “shuffling the family” to hear the reflections of “family”. 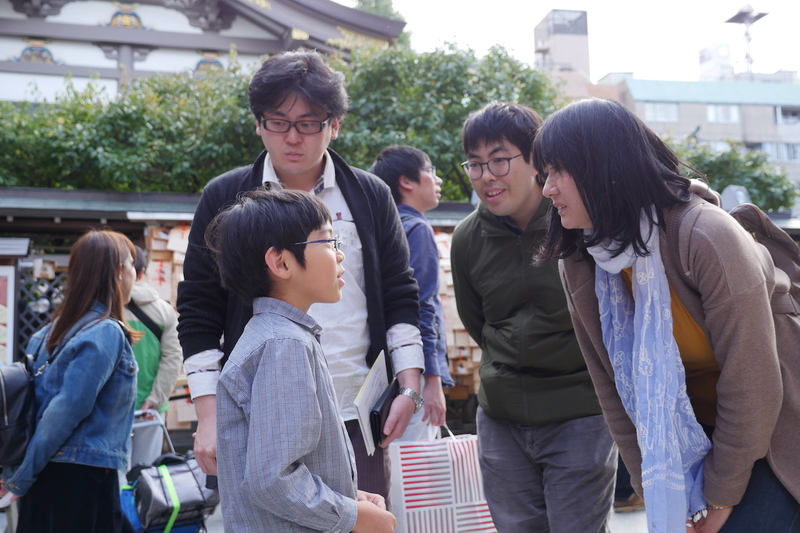 Unfortunately, only two families participated, but the story was told in the situation of the shuffled family. It was a unique effort to create the reflections of other family members together. Until last year, “Telephonoscope”, which is the black telephone dial recording device was used for recording, but this year a radio studio-style set was used. 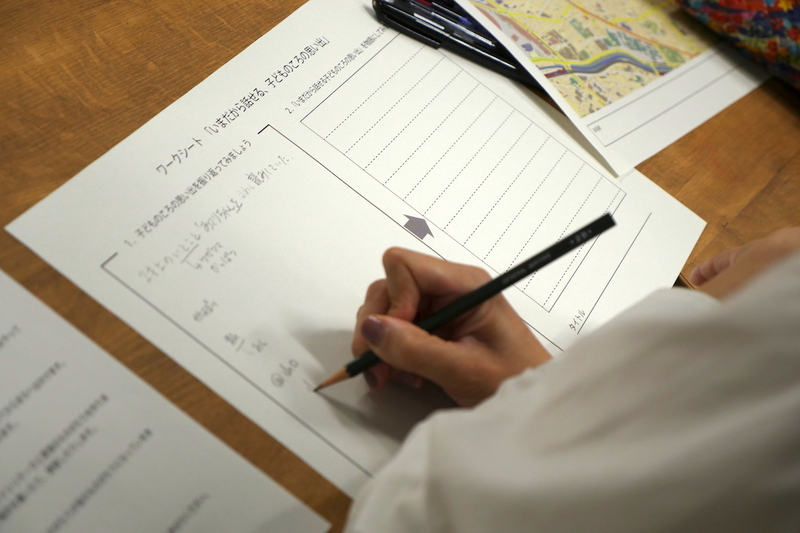 In this workshop, participants write the “script” of the story together with the facilitator. For recording they read the script. 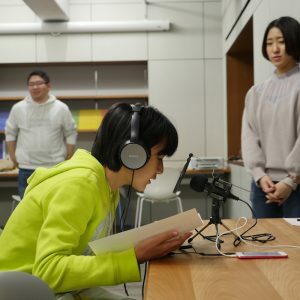 The introduction of a new device seems to have worked well there is the performance of the elementary school child who belongs to the broadcasting department. As with the previous workshops, the number of participants was limited this year too. 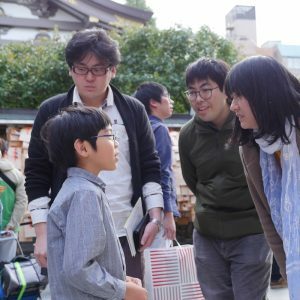 Even if we have the maximum number of participants, we can only talk about a dozen stories at a time. But is there any other opportunity to be told of personal memories of such a place? The stories that are told and recorded through this workshop will be a very valuable archive for the community. Some of the participants said they wanted to do this workshop at a local town meeting. It is a great pleasure to be able to feel the value of the local people.